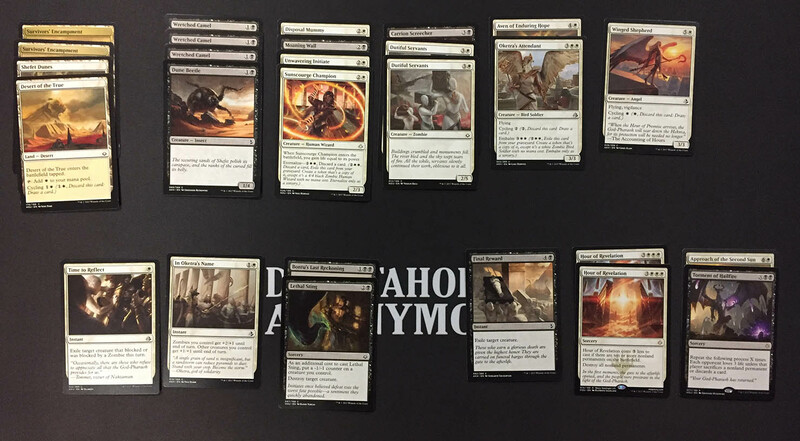 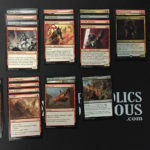 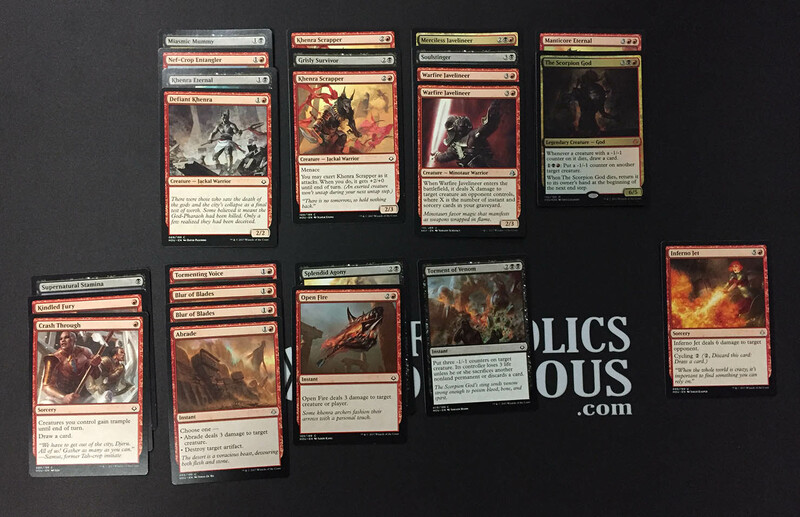 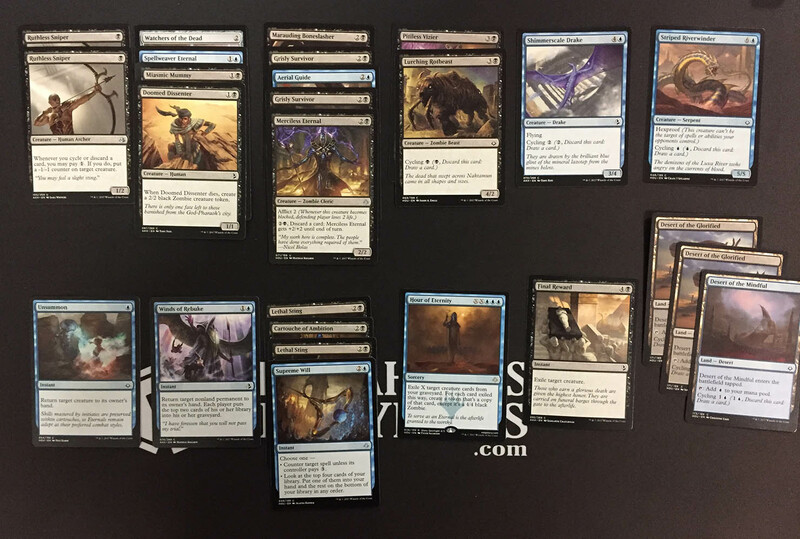 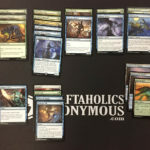 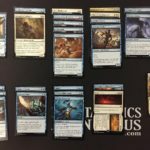 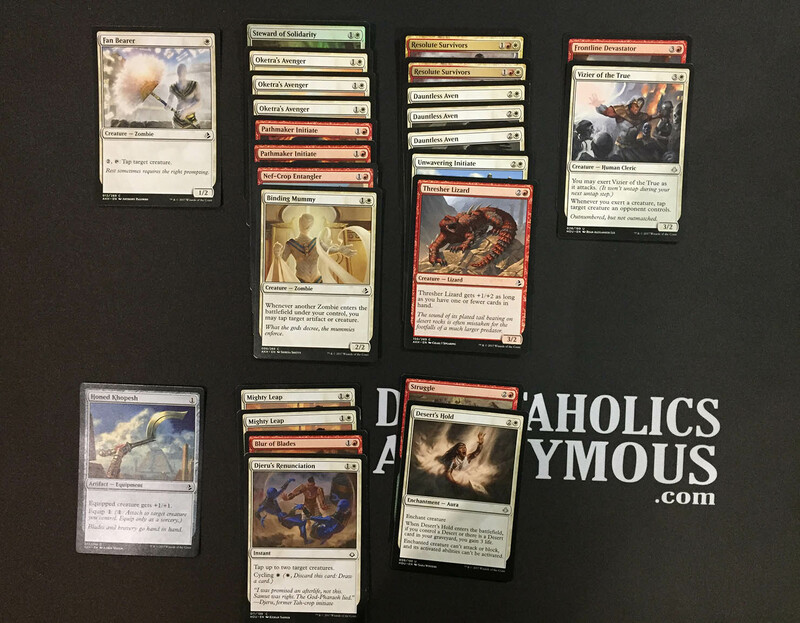 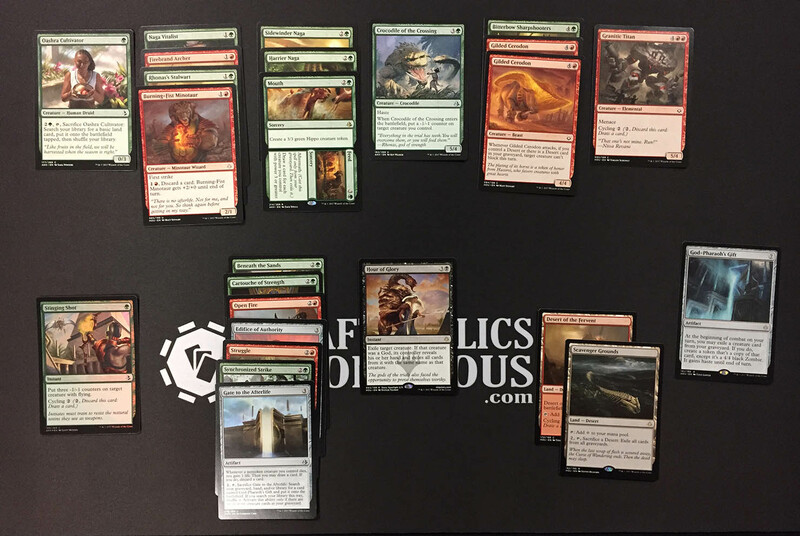 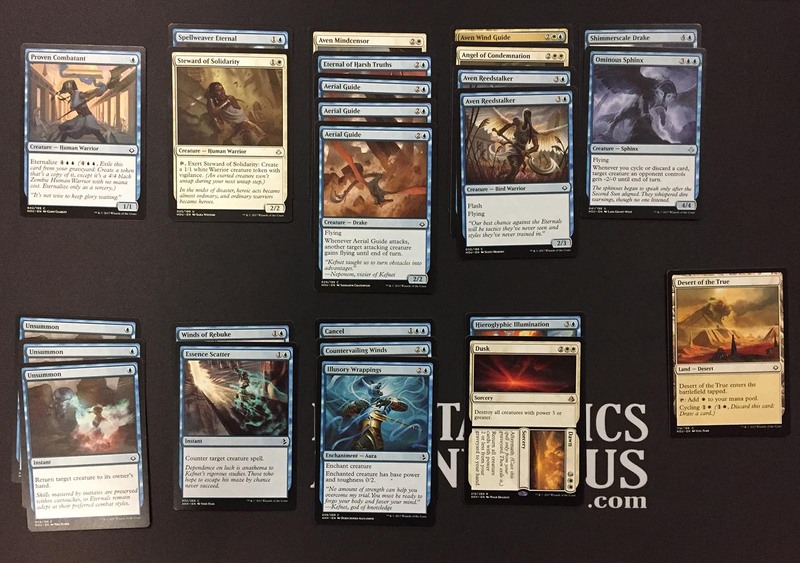 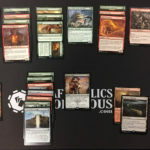 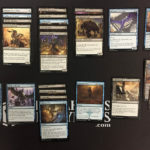 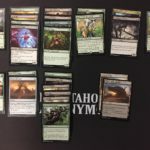 Watch as Marty drafts some Hour of Devastation at Draftaholics HQ! 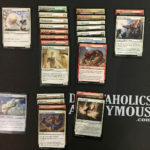 If you haven’t had a chance to play with the new set yet, follow along with Marty as we dive into the new synergies and cards of the Amonkhet block! 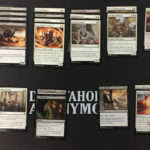 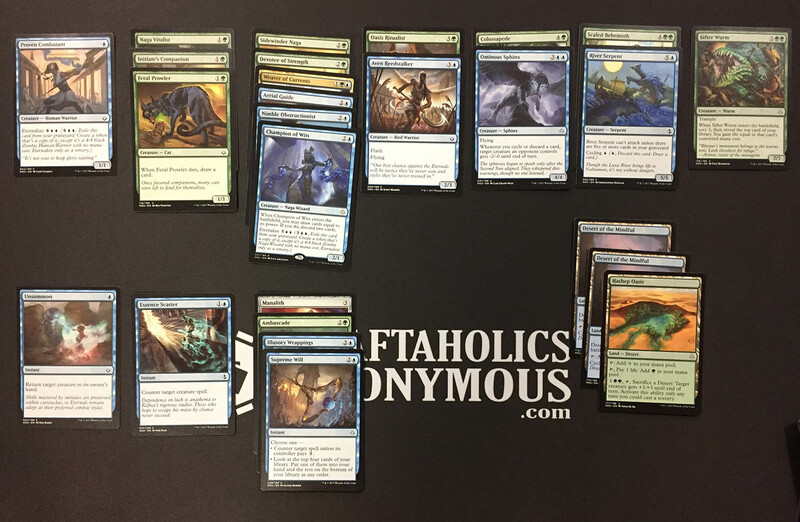 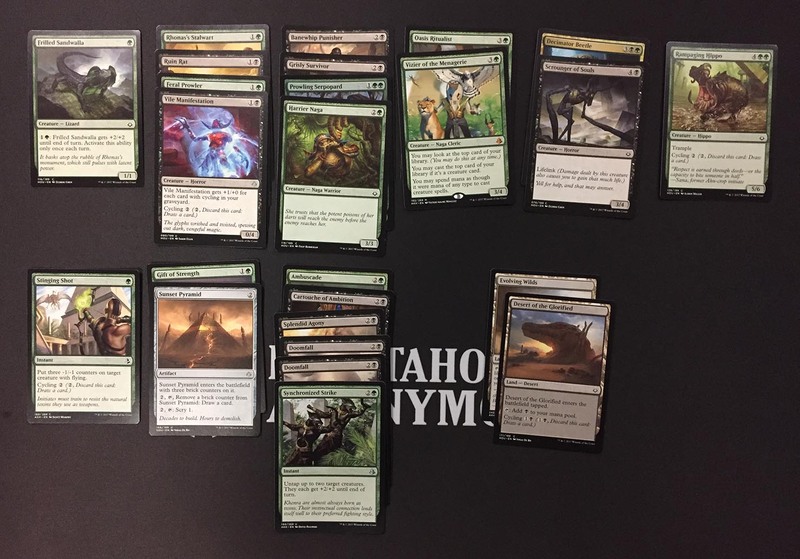 Check out the whole pod’s decklists below the break and let us know what your favourite archetype has been so far for Hour of Devastation in the comments below!